A person recorded this falling object during sunrise this week. The object appears to fall very slowly, too slowly to be a meteor and too slow to be space garbage. It looks like a UFO that is about to land far away. During sunset when the sun is at a 90 degree angle, UFOs do become visible for a few minutes. Its the #1 time to catch a UFO if you just sit and watch the sunset. Watch a few, and you will see one in a week or less. 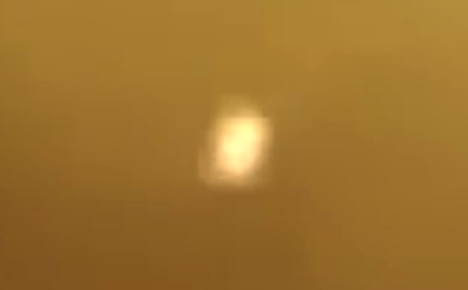 Next Post:Black Triangle UFO Causes Lightning Storm On Video, Nov 2018, UFO Sighting News.